Delta Sleep - El Pastor. 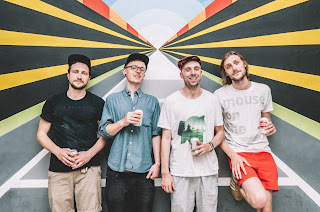 Background - Brighton math-rock band Delta Sleep announce their return, sharing a new video for their first single in 3 years entitled ‘El Pastor’. 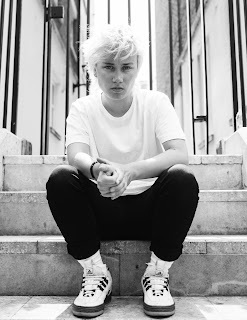 The new single is taken from the bands highly anticipated second record, which follows on from their widely acclaimed debut album ‘Twin Galaxies’, which earned plaudits from the likes of Clash, GoldFlakePaint, Q, Rock Sound and more. Accompanying the new single, Delta Sleep have also announced a US tour (dates below) to start this autumn. The quartet’s live show is a force to reckoned with. Intense, captivating and extremely tight, they win over their audience at every turn. This has led the band to tour across the UK, Europe, Japan and Mexico since their 2008 formation, whilst also repeatedly appearing at festivals such as ArcTanGent, Handmade Festival, Truck Festival and 2000 Trees. FACEBOOK. Spray - Anthologised By Cherry Red. 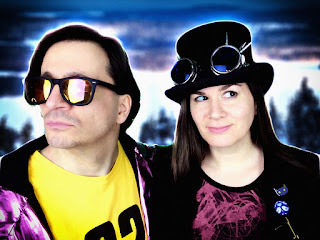 Background - British synth band and self-styled indiepop chameleons Spray present their new single 'Anthologised by Cherry Red', a tongue-in-cheek anthem for today's music industry. Founded in 2001, Spray is comprised of Ricardo Autobahn (synthesizers) and Jenny McLaren? (vocals, guitars), both formerly of the Cuban Boys, who took their chaotic technopunk to number 1 on the Festive 50 (twice), recorded one of the best Peel Sessions ever and went head-to-head with Sir Cliff Richard in a Christmas Chart Battle (but ultimately lost). Their hit single 'Cognoscenti Vs Intelligentsia' (a.k.a. 'The Hamster Dance Song') sold a million copies, reached number 4 in the UK single charts, landed them on Top of the Pops and, in the words of John Peel, was “the most requested song I’ve had since 'God Save The Queen'. Background - If we follow the narrative of Rosie Carney as expressed through her songwriting, 2017’s ‘Awake Me’ was about the undefeated kernel of hope inside us all that gets us through each day. It was a public acknowledgement of the mental health struggles that engulfed her late teen years and her harrowing rise and fall in the major label system. 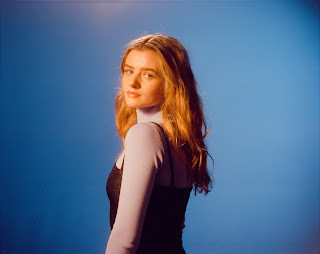 Today, her new single ‘Bare’ conveys a sense of solitude, but, as Rosie points out, solitude is a tender and creative muse, allowing us the reflection needed to be our best selves, let go of the past. 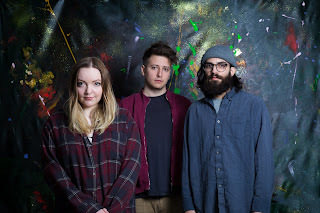 Background - Canadian indie-rock trio Basement Revolver have released their expansive new single “Baby” from their debut album Heavy Eyes, which is due out via Fear Of Missing Out Records on 24 August.